Kristen Lorello is delighted to announce Jeremy Lawson's debut solo exhibition with the gallery of works from his ongoing 'Rain Follows the Plow' series. 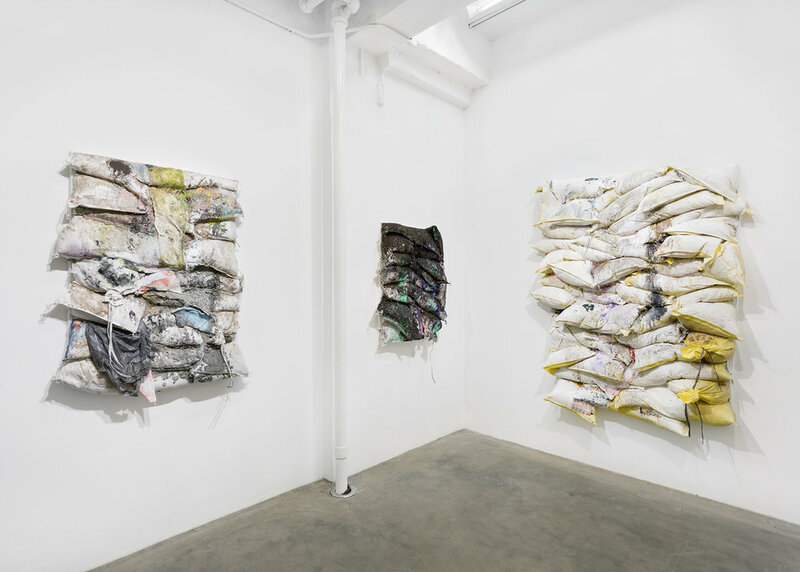 The exhibition includes wall-based reliefs made with multiple filled construction sandbags, joined together and covered with found materials and paint. 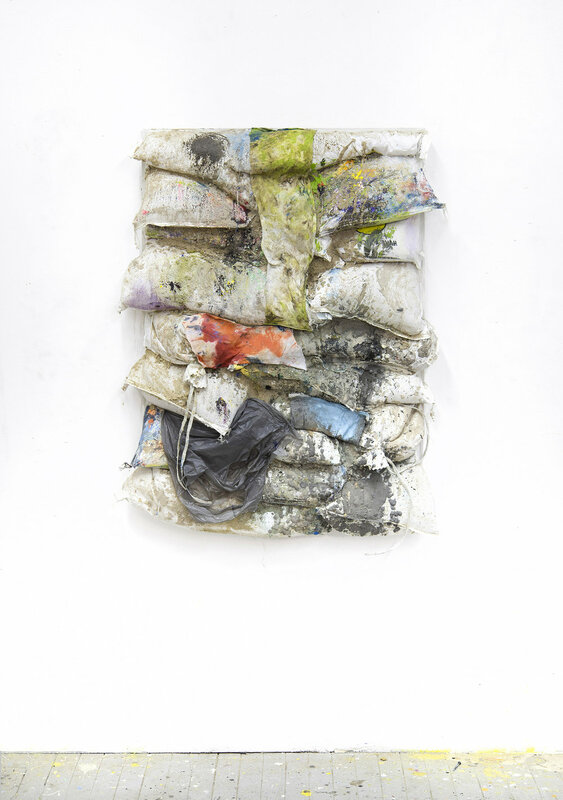 Lawson's works at once register as paintings, sculptures, and accretions of natural elements. 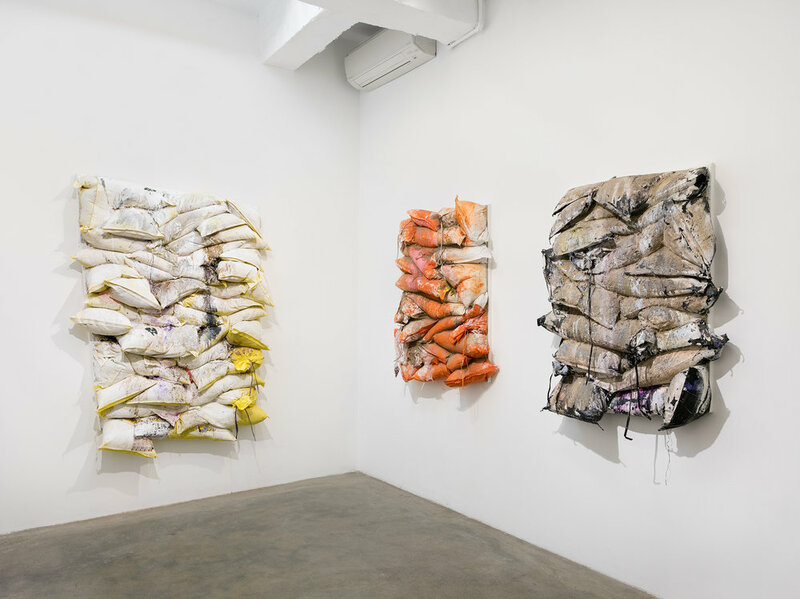 He actively employs various strategies of postwar art such as assemblage, abstract expressionism, and the use of readymade materials, to speak about contemporary issues surrounding property, climate, and environment. 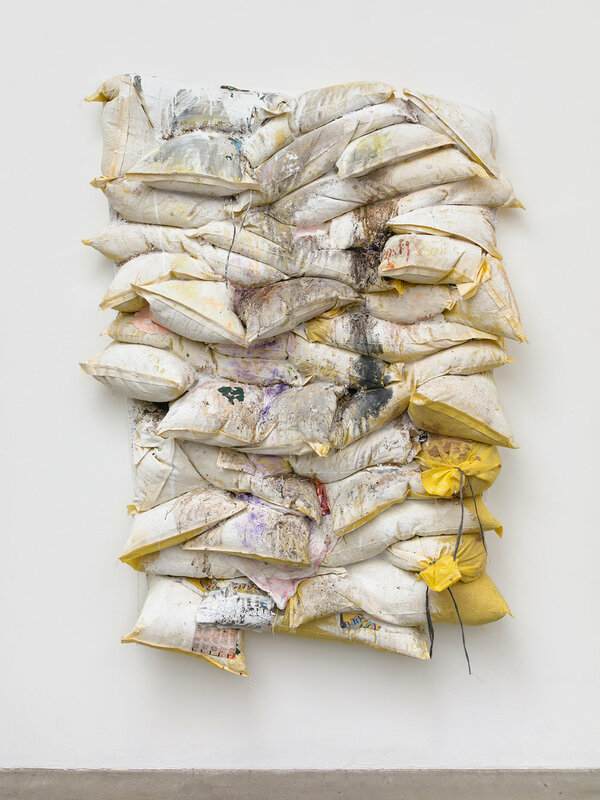 Using construction sandbags to compose the backing of each of the works, Lawson at once nods to the white weave of flat canvas and to the functional aspects of the bags - to direct the flow of floodwater and to safeguard property. Surfaces feel bulbous and inflatable, pillow-like and hard, highly ordered and haphazard. 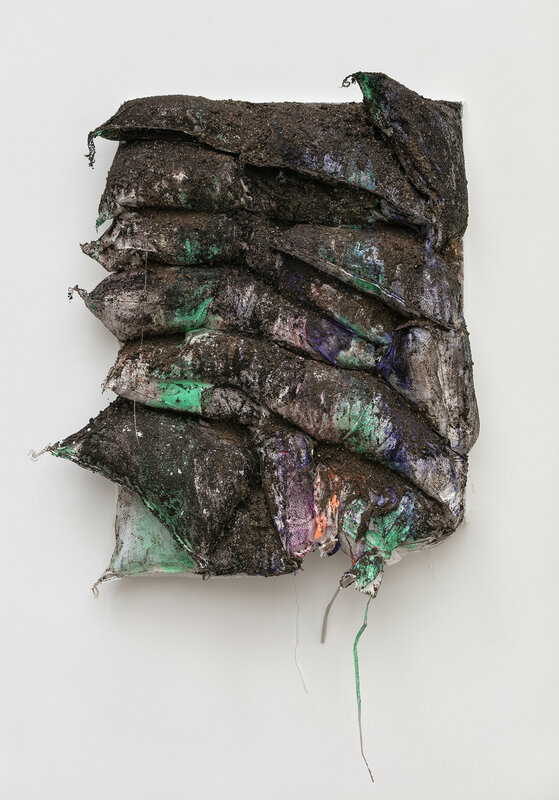 Paint and mud appear to slide alongside each other, filling various creases and crevices created by the bags. Rags, sheets of plastic, and hanging ties pepper the reconstructed patchworks with thoughts of aggression and protection, survival, and reconstruction. Lawson's reliefs follow in the tradition of historical artists who have expanded the surface of painting either literally by testing its flatness (Kusama, Bontecou) or by replacing the traditional canvas with found materials, as in Burri's burlap sacking and Rauschenberg's fabrics and printed matter. 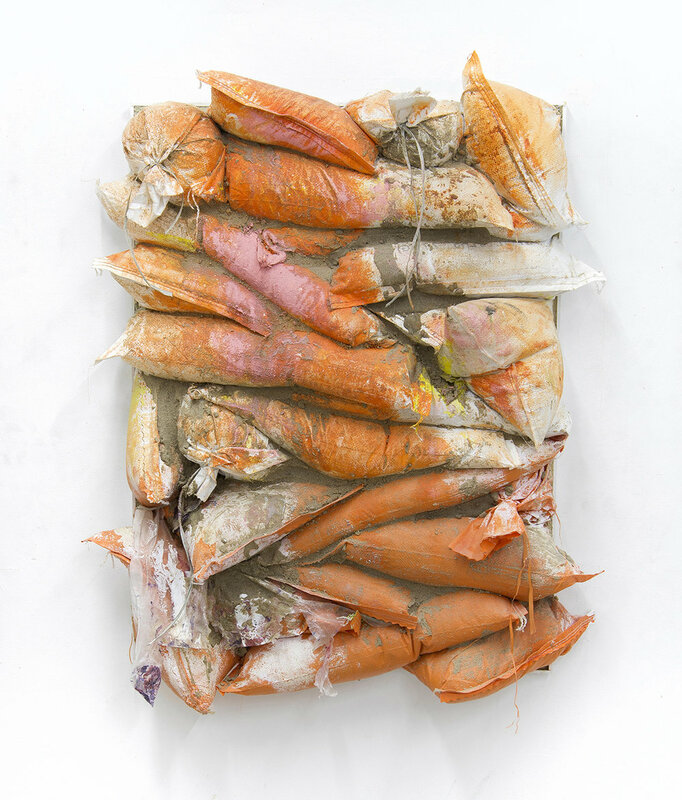 For Lawson, painting becomes a sculptural reflection of aspects of current life--the ongoing hum of real estate development, floods-- and the human desire to process ongoing changes to one's surroundings. Jeremy Lawson was born in Warren, Pennsylvania and currently lives and works in New York, NY. He received a BFA in Art Media Studies from Syracuse University in 2003 and is currently an MFA Candidate at Hunter College.